Thanks to Farmers Branch Aquatic Center for sponsoring this post. 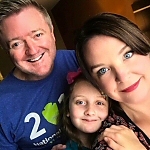 In a world full of electronics and busy schedules, the Farmers Branch Aquatic Center brings something rare to the table – a chance for good old fashioned family fun! Located in the heart of the Dallas & Fort Worth area, this large facility sits in Farmers Branch Texas, but is available for use by residents and non- residents alike! But what makes Farmers Branch Aquatic Center a destination worth seeking out? -This state of the art Aquatic Facility is already locally known as one of the prettiest and most dynamic swimming destinations during the summer months. The lazy river, zero entry pool and water slides make it a must do in soaring summer temperatures. But the Farmers Branch Aquatic Center has more than just it’s outside facilities to offer family – it has additional pools inside! 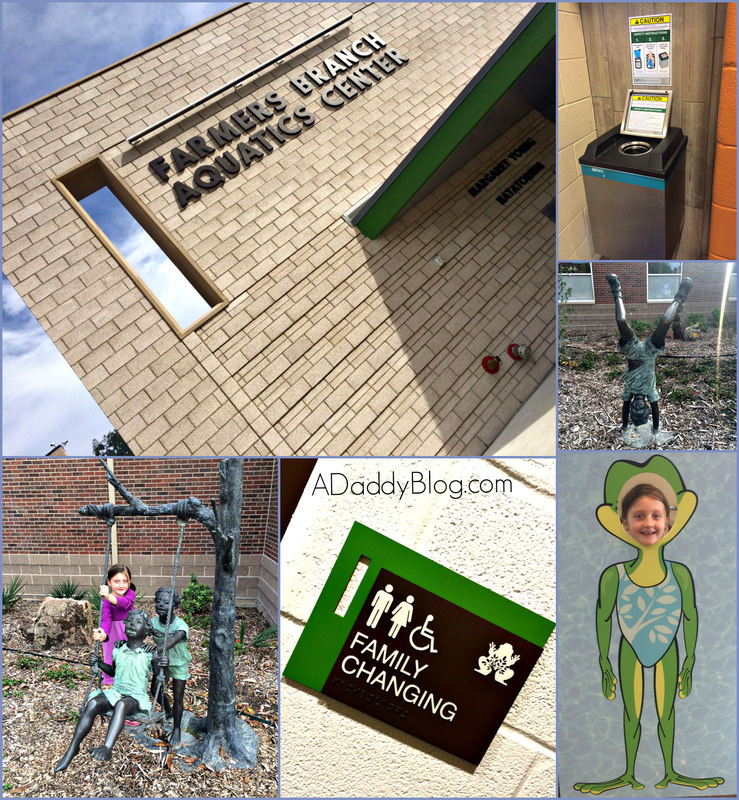 -The Farmers Branch Aquatic Center not only boasts two heated pools inside, but also beautifully appointed changing rooms, showers, and even family changing room areas. It also has a large party room with flat screen TV, and in house radio station, called FBH2o! -In addition to hosting Birthday parties and family swim times – the FBAC also has swim lessons and Aquatic Fitness classes! A quick walk into their natatorium uncovers several huge containers full of Aquatic Fitness supplies for swimmers. 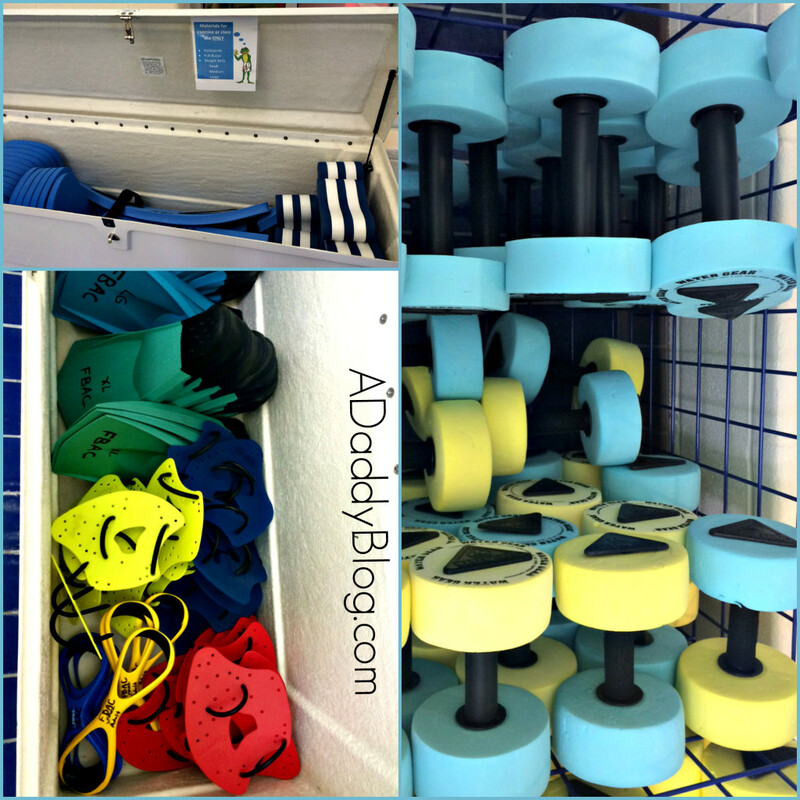 Water weights, flippers, resistance bands – all ready for you to get working out in the water! – Did you know that if you become a member of the Aquatic Center, you can even have fresh towel service each time you visit? It’s a country club experience on a dime! There is obviously a ton to do at the Aquatic Center – but don’t miss out on the best part! The most rewarding part of visiting, is the quality time you can spend with members of your family. Watching your children splash and laugh, and learn water safety is wonderful. But so is challenging your spouse to a race in the lap pool – loser cooks dinner! What about hosting a family get together using the party room? Maybe it’s time to get in shape as a family? 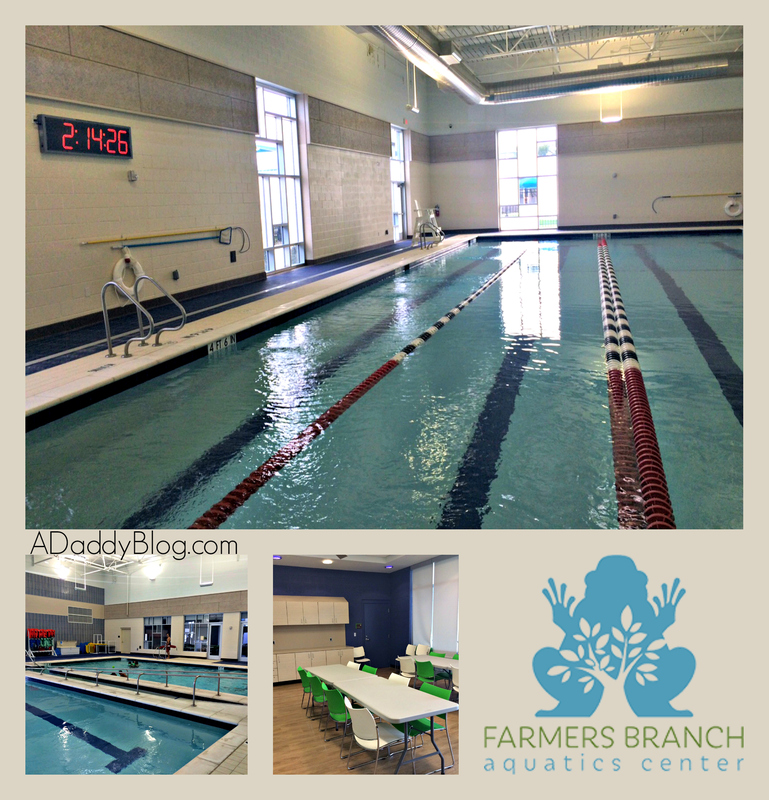 The Farmers Branch Aquatic center is really a community resource that allows you to have a little time in your life that’s unplugged, and is a frugal conduit for family memory making. Don’t overlook the Aquatic Center this winter, it has more to offer than just summer fun!